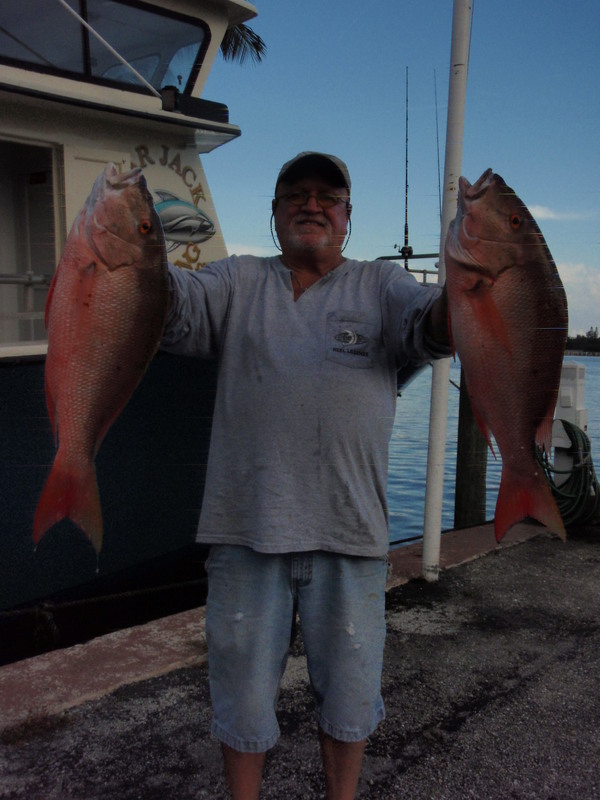 Bobby displays two beautiful Mutton Snapper he caught while fishing on the Lady K during Monday’s 1 pm to 5 pm trip. Also during the trip, an angler hooked into a large cobia only to lose the fish to a shark just under the vessel in gin clear water. King Mackerel and large porgies were also taken by anglers using thread-fin herring and cut squid for bait. Morning action has seen black-fin tuna, king mackerel, yellow-tail snapper, mutton snapper, small African Pompano releases and a host of various bottom fish. 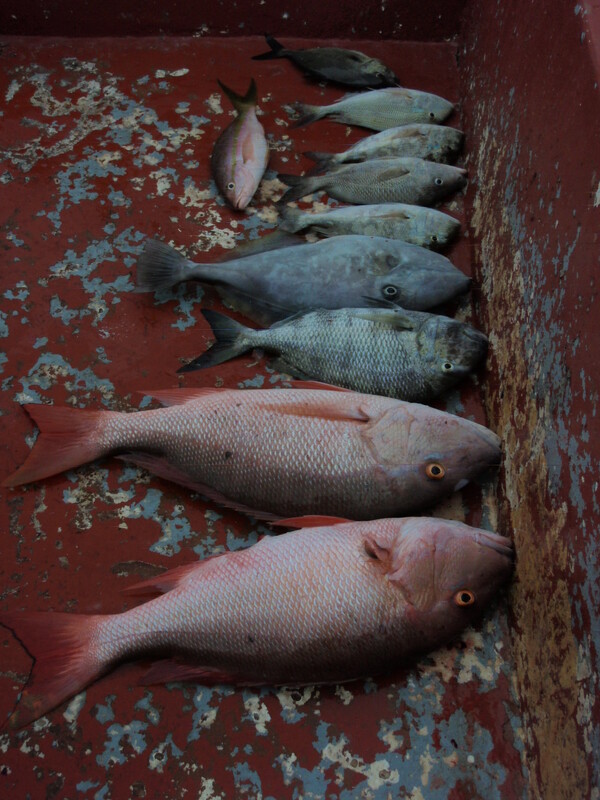 Saturday’s afternoon trip found these Mutton Snapper in deep water where they preferred cut bait over whole ones. The evening trip had an excellent King Mackerel bite along with Lane Snapper, Mangrove Snapper, small sharks, Porgies, Grouper, Grunts and a Cobia release. The fall run of cobia should be starting up soon as November approaches along with mahi mahi action and some keeper sized African Pompano. The weekdays have been running with light crowds and taking some of the bigger fish so don’t delay and plan your trip today on the world famous Lady K.